ENVY is a direct DMX512 retrofit control module specifically designed for facilities with an existing Strand Environ 2 architectural dimming systems. Existing installations can be upgraded to DMX protocol in minutes eliminating system replacement or latency inducing protocol converters. ENVY is pin to pin compatible with O.E.M. factory backplane for ease of installation. An optional 24 channel analog input PCB is available for facilities requiring simple analog slider controls. Direct plug-in DMX control module. Optional 0 to 10VDC analog inputs. Pin to pin compatibility with O.E.M. 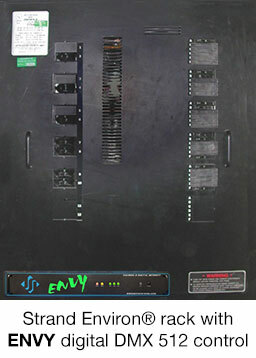 dimmer rack backplane. High speed processor for accurate smooth fades. Compatible with both small and large Environ 2 enclosures. 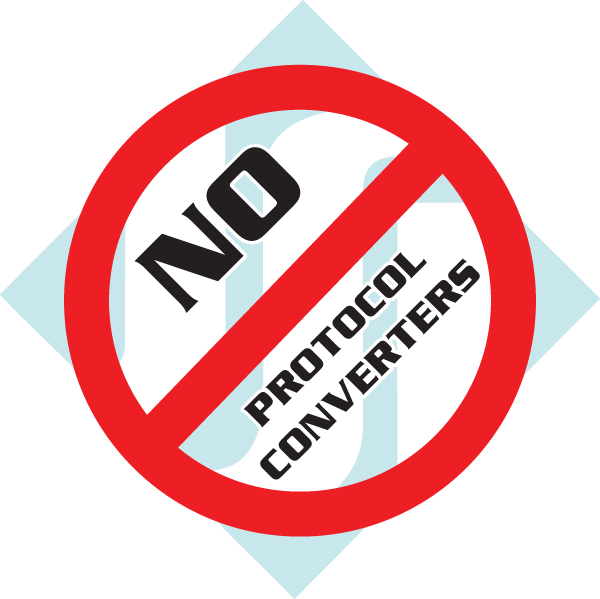 Protocol converters degrade dimmer performance by introducing DMX signal latency.